If you are running a business overseas and your revenue is not sourced from your country of residence, you may want to seriously consider an offshore company. BVI, Samoa, Seychelles, Marshall Islands, Belize, Anguilla; these are tax efficient countries. It means tax efficiency on income, profits, capital gains and estate. Therefore, there is more leniency with the authorities with tax returns and reporting and some may not require any (Please ask me for more info). Except for the Seychelles, all other jurisdictions have no requirement to file annual returns also. Many people don’t realize the ease of maintenance – there is no annual statutory filing to worry about like Singapore or a Hong Kong company since there is no requirement to lodge any returns. The client just needs to pay the annual fees at the time of renewal and that’s it. In terms of costs to run, they are also pretty small. You can set up a company for a few thousand dollars and annually they cost less than a 1000 dollars to run. When you consider that you may be paying 20% or more in tax on company earnings that can be significant in terms of saving. If you are concerned about disclosure, you needn’t be; directors and shareholders information are not on public records and this information is not searchable even if 3rd parties pay for a company search. Such information is kept at the Registered Office and Registry (for register of directors only) and if anyone requests for such information, the request will be forwarded to the owners but nothing will be provided, unless there is a court order for various other reasons. Offshore companies are also widely accepted and understood by the international financial community – it is possible to open bank accounts in Singapore and all that is needed is a bank visit and possible interview. 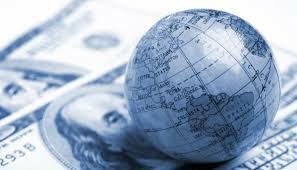 We can also arrange for offshore bank accounts in Mauritius, Puerto Rico and Cook Islands. No visit is required for these offshore banks. If you have an interest why not get in touch?